When you signed up with Zonmaster you gave us your Amazon Seller info – Seller ID, MWS Auth Token, Send From email address etc. You can update some of these, and configure other settings, on your Amazon Store’s Settings page. Then click on your store’s name. To edit your Send Email From Address click on it and a small popup window will appear where you can enter the new address. PLEASE READ THE ‘About the ‘Send From’ Email Address’ section on that page before editing the address. 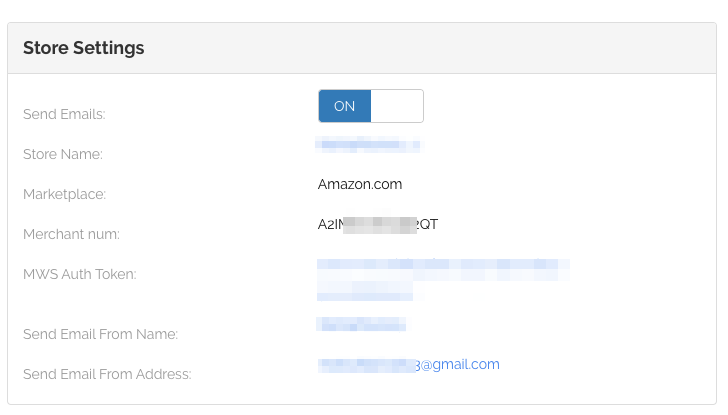 If you change the email address to an email that is not authorized with Amazon your emails will be sent to Amazon but not to your customers and you will have credits removed from your Zonmaster account. If your email address has not yet been verified by you with Zonmaster you can ‘resend’ the verification email to your address. The verification email will come from Amazon Web Services and you’ll have 24 hours in which to click the link. Please note that it can take up to 30 minutes for the email to sync with us after you have verified it. Amazon expires the Auth Token once a year. They will send you an email warning you that it is coming to an end. When you renew the Auth Token the token MIGHT change, so please paste the new token into this page. 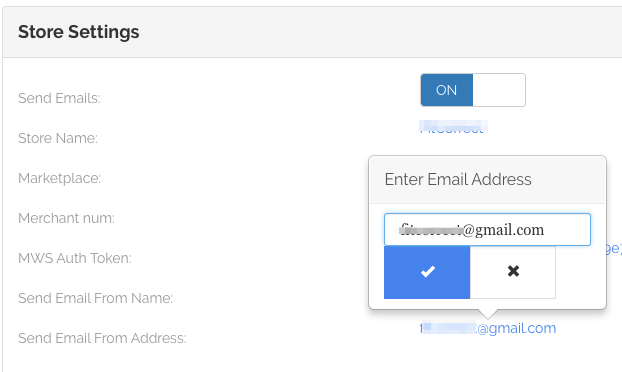 Just like with the email address, you click on the Token text and a popup will appear. Once you have saved it a ‘Recheck’ button will appear and you MUST click on that to complete the update.